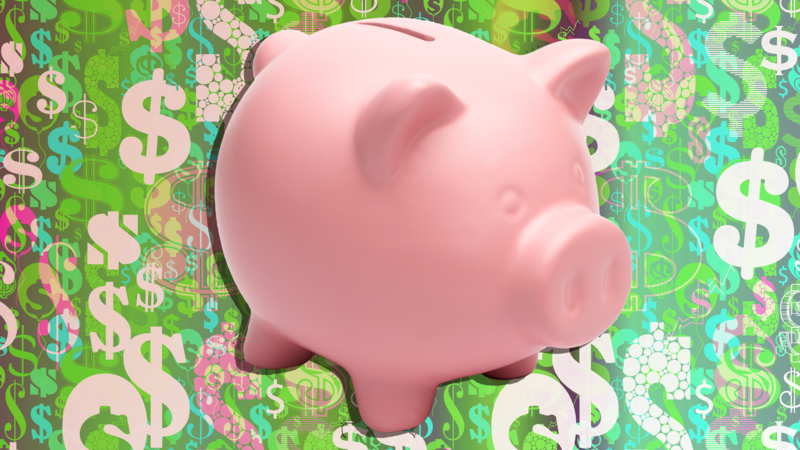 Talking about money at any age can be a drag; sitting down and reviewing just how much money you spend on groceries every month isn’t exactly anyone’s idea of a fun night. But, having a realistic overview of your finances can help reduce stress and other harmful health conditions in the long run according to the American Psychological Association. One of the best ways to develop healthy financial habits is to learn how to save, and learn early. While we may not be able to go back in time and tell our teenage selves why it’d be wiser to save our hard-earned summer job earnings than blow it on 20 different bathing suits, we can help make sure our kids don’t make the same mistakes. Financial experts like Natasha Rachel Smith of TopCashback agree that it’s never too early to talk to your children about the importance of saving. Susan Kim, coauthor of the children’s book, Adventures in Finance with Bull & Bear: Saving for the Beach, agrees. “If your child is smart enough to play a game on a device, you can talk to them about money,” she said. If you’re struggling with how to spark a conversation, the Adventures in Finance with Bull & Bear series is a great launching point, as the books tackle essential topics like saving, borrowing and investing in a way that’s educational while also being fun and easy to comprehend. Plus, the books include worksheets and puzzles so kids can familiarize themselves with terms and concepts. The process doesn’t have to be intimidating either. Smart shopping expert Trae Bodge says taking your kids shopping with you — whether you’re at the grocery store or a mall — can kick-start important conversations. “The entire shopping process can be instructive: conducting research online, flipping through circulars, browsing and comparing prices at the store, using coupons or savings apps and checking out,” she said. Throughout the process, make sure to explain how much things cost and identify items you might want but would have to save up to purchase — yes, this may mean you have to limit your own impulse buys. But don’t just tell your kids that you’re going to save to buy a new bag; come up with and include them in a plan to help you reach that goal. Explain that you’ll set aside a small amount of your paycheck each pay period and expect to meet your goal on a designated date. When it comes time to shop, they’ll feel like they were part of your purchase. Don’t stop with smaller purchases, though. Teach your kids the importance of saving up for long-term goals by including them in the planning for your next vacation. As you talk through the costs of travel, lodging and dining out, you’ll help your kids understand that big trips, though fun, don’t come cheap. Bodge recommends teaching kids various lessons based on their ages. For example, kids ages 2 to 4 should start by identifying coins and their values. 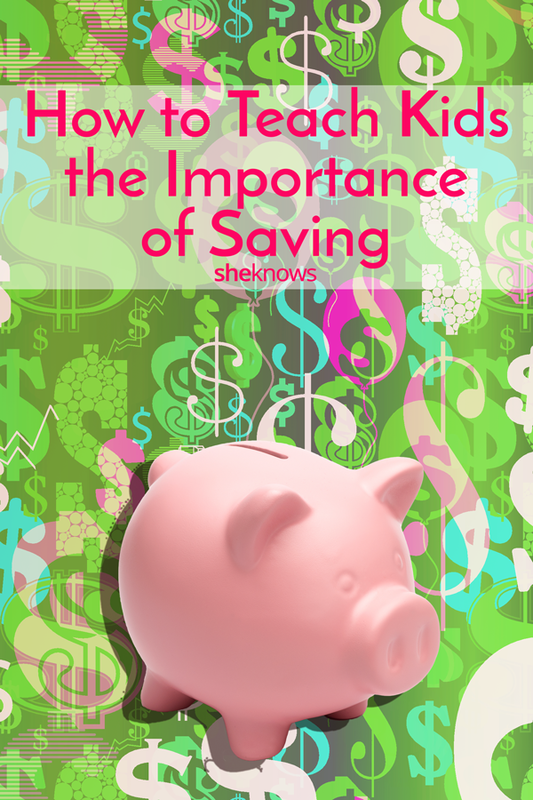 Once they’ve become familiar with currency, introduce them to a saving method, such as a piggy bank, where they can keep money gifted on special occasions. Once they turn 7, she says they should be old enough to start earning an allowance by contributing to household chores. Being clear about your expectations is critical. They should only receive the full amount if the tasks have been completed to your standards, as it can teach them that money is something earned, not owed. From there, you can help your kids come up with a budget. Neeley suggests breaking the budget down as follows: 10 percent for future investment, 10 percent for charity, 10 percent for themselves (short-term savings) and 70 percent for spending money. Over time, the hope is that saving and donating will become second nature for children, and they’ll be better off when you decide it’s a good time to introduce them to debit and credit cards. To help all of you feel more comfortable about independent shopping, Bodge suggests introducing kids to debit cards and checking accounts between the ages of 11 and 14. When you think they’re mature enough, you can get your teen situated with their own cards, which they can use to save and spend (under your supervision if you choose). The process won’t necessarily be easy, but with these tips, talking about the importance of saving with children should be a bit easier.